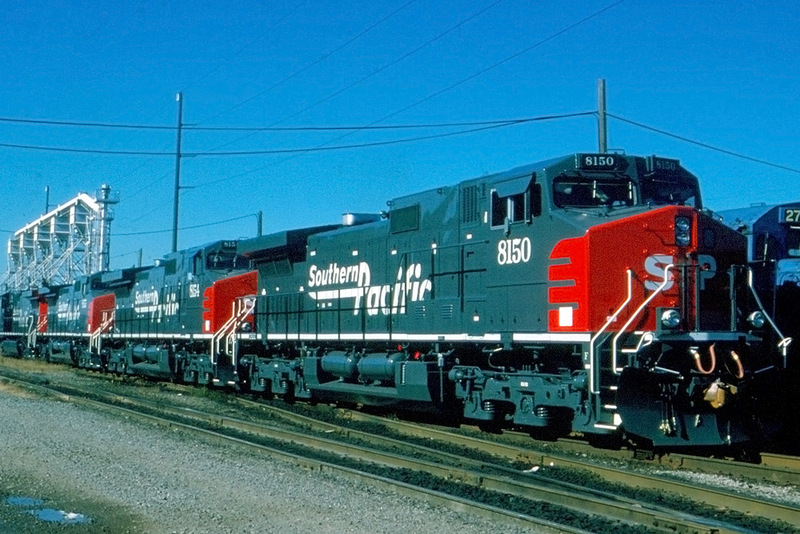 Southern Pacific took delivery of 101 Dash 9-44CW’s in 1994. Units 8100-8149 were built during May and June. The balance, 8150-8200, were built October-December of 1994. Here’s a few views of these big GE’s during their first year of service. SP 8102 is on the point of a manifest whose crew hogged out just west of Yuma, AZ on July 26, 1994. 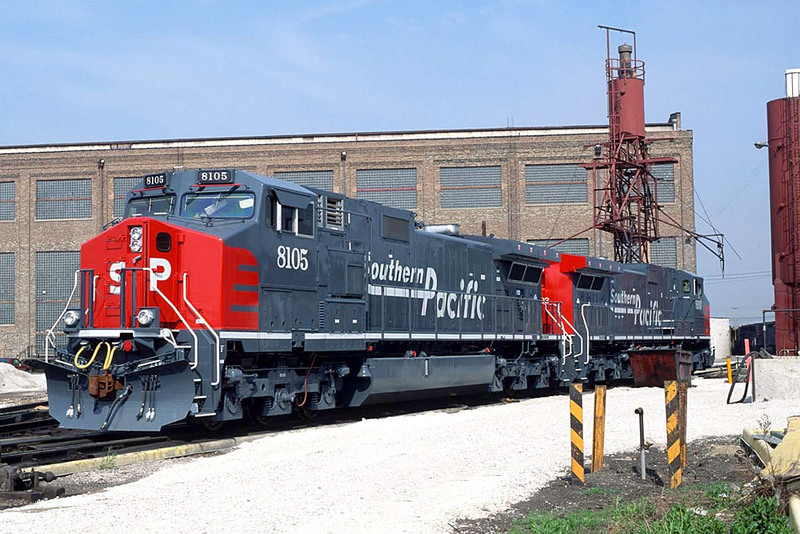 Factory-fresh SP 8105 and 8103 are at the Belt Railway of Chicago’s Bedford Park in May of 1994. 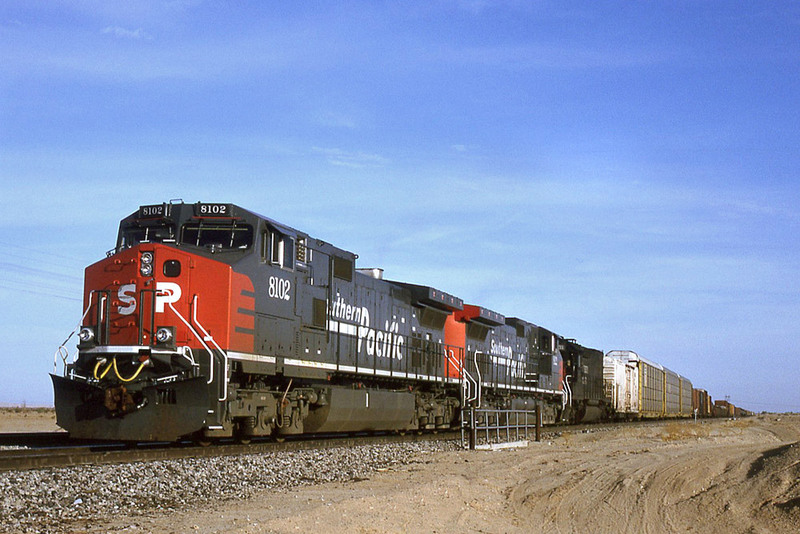 Note the red grab irons above the windshields, which were unique to the 8100-8149 batch. SP 8150 and 3 sisters have yet to turn a wheel on SP tracks. The 4 units are in transit from GE-Erie to the SP in Chicago. They are at Conrail’s Collinwood engine facility in Cleveland, OH on October 11, 1994.